Translate Data into Insights with Detroit Connect. 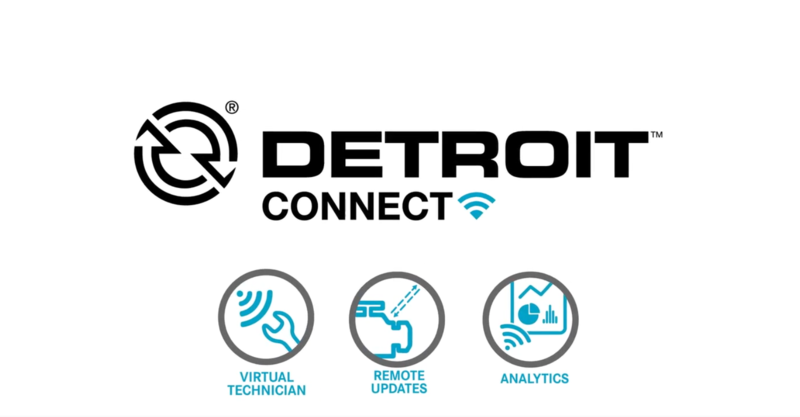 Detroit™ Connect is creating an easy-to-access portal where users will be able to simply log on and access real-time information. They will be able to view vehicle fault events and performance data for insights into their overall fleet health, fuel economy and safety performance. Translate fault event data into actionable intelligence and increased uptime. Optimize vehicle performance with over-the-air programming. Uncover vehicle performance insights without number-crunching. Direct access to vehicle data that can be customized to meet the needs of your business. Vehicle data delivered directly to Detroit Connect authorized Electronic Logging Device (ELD) apps. Detroit partners with telematics service providers to deliver fleet-management and ELD solutions.